The province of Lucca is preferred by most tourists because its offers a variety of places to visit and accommodations in Tuscany. Tourists can enjoy the culture and art of the noble town of Lucca, or explore the natural beauty of the mountainous region of Garfagnana following its trekking trails, or otherwise relax on the beaches of the Versilia Coast. 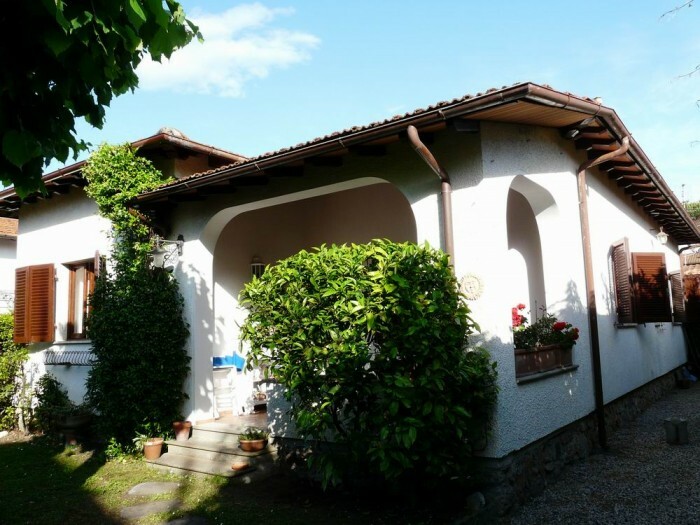 Furthermore, many attractive holiday homes in Lucca region are located on the beautiful hills surrounding the town, in the middle of vineyards or olive groves: typical Tuscan villas or farmhouses and wine estates. The town: a favourable location on the plain at the foot of the first spurs of Apennines and an abundance of water seem to have been the reason for the foundation of the city by the Romans in 180 BC. The rectangular grid of its historical centre preserves the Roman street plan. Nowadays the church of San Michele, named, because of its Roman origin, San Michele in Foro, occupies the site of the ancient forum. Remains of the amphitheatre can still be seen in Piazza dell'Anfiteatro. Lucca later underwent numerous invasions by the barbarians. In the Middle Ages its role was further increased by the opening of a new stretch of the Via Francigena, the pilgrimage route connecting Northern Europe to Rome. "Well,... Genoa and Lucca are now no more than private estates of the Bonaparte family..... And what do you think of this latest comedy, the coronation at Milan, … and of the comedy of the people of Genoa and Lucca laying their petitions [to be annexed to France] before Monsieur Bonaparte, and Monsieur Bonaparte sitting on a throne and granting the petitions of the nations?" Today, still ringed by its massive walls, Lucca jealously guards the traces of its past, the great tradition of commerce and civic pride that is reflected in the quality of the urban fabric, studded with noble palaces and with an exceptionally high number of churches, on which every era has left its own mark. It is impossible here to describe the whole of the city's immense artistic heritage, ranging from the cathedral San Martino, San Frediano, San Michele in Foro, the Museo Nazionale Guinigi or Mansi up to the many villas in Lucca countryside built by the merchant and banking classes. Here the magnificence of the architecture and the sumptuous symmetries of the Italian Gardens conjugate such touchstones of entertainment and confirmation of social status with the exploitation of primary products such as oil or wine, destined to have a lasting effect on the landscape. An indescribable voyage which needs to be experienced. 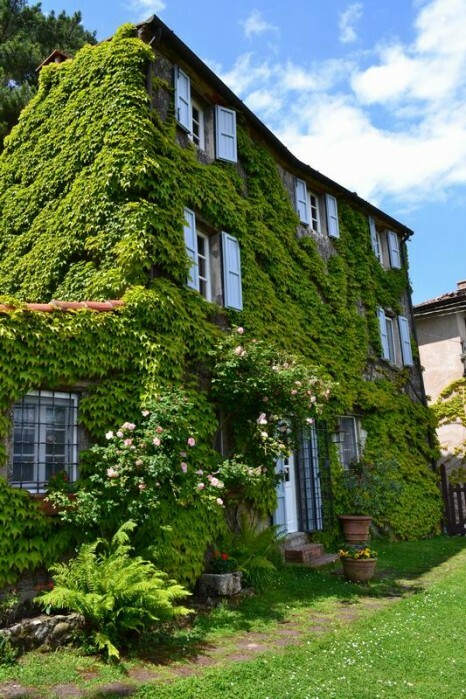 This old farmhouse, “Antico Casale”, dates back to the 16th century and is testimony of the wealth of the silk merchants who gave fame to Lucca throughout Europe. Rebuilt during the years, these holiday apartments near Lucca have recently been restored to its origins owing to the hard work of the owner. The farmhouse consists in elegantly decorated apartments, with antiques, fireplaces and the beautiful grey Matraia stone quarried nearby. All the apartments are bright and enjoy a lovely panorama. Situated on the hills of Lucca, among olive groves, the farmhouse has a beautiful view and is bathed in sunshine all year round with a refreshing breeze during the summer. One can also enjoy a spectacular view from the salty water pool which is located at the edge of the property. 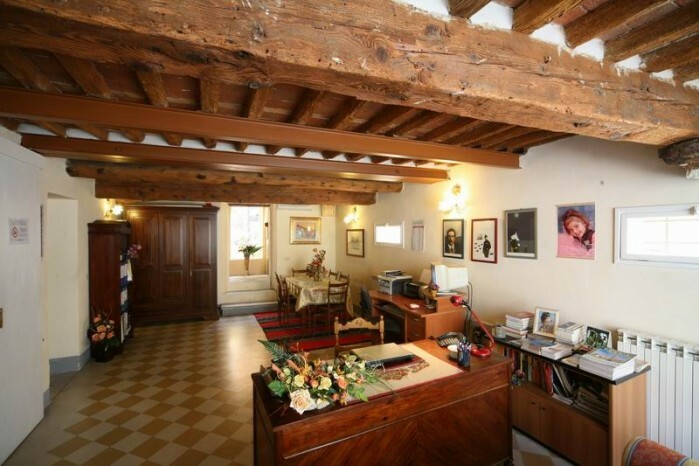 The position of these Tuscany vacation rentals is ideal for visiting art centres such as Lucca (at 15 min. ), Pisa (at 40 min.) and Florence (at 50 min.) or the nearby beaches of Versilia. Very near are the famous historic Villas and gardens of Lucca, open for visits throughout most of the year, and old churches and farms, where one can taste local products. It is also possible to follow the famous Wine Trails, “Strade del Vino”, tracking the local wine production of the area, while nature lovers can go for long walks through woods, vineyards and olive groves. 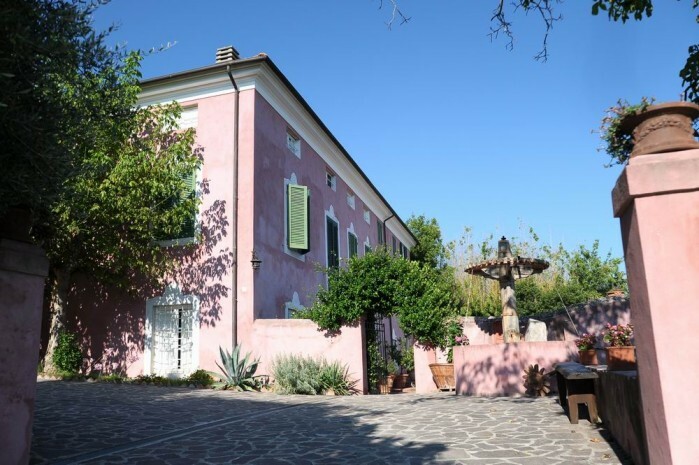 Located at 200 m from the medieval town centre of Camaiore, this old farmhouse, converted at the present day into an original bed and breakfast, dates back to the late 18th and early 19th centuries and belonged to the House of Bourbon-Parma. The holiday house in Tuscany is on three floors. The ground floor has a large living room with a library, two huge fireplaces and antique furniture. Is this room client’s can enjoy their breakfast, whereas during summer it is served in the garden. The B&B consists of four large and comfortable bedrooms, recently renovated maintaining the original atmosphere with old-style furniture, each with a private bathroom. A large garden surrounds the bed and breakfast offering relaxing corners and some facilities. Bicycles can be taken for excursions to the nearby remains of the ancient walls of Camaiore, Porta Lombricese Arc, and the famous Abbey church (11th cent.) as well as in the surroundings where one can admire the many Romanesque churches (“pieve”) and breathtaking views. 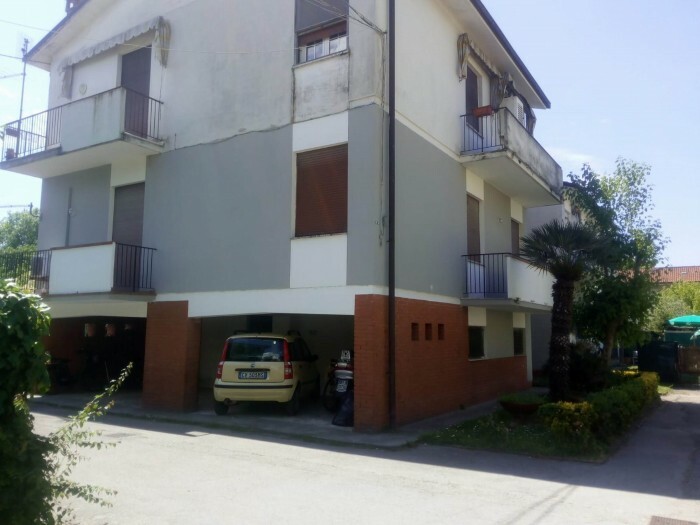 This Tuscany accommodation is in an ideal position for both visiting the coast of Versilia with its sea and beautiful beaches, as well as the mountains: both a few kilometres away. Also near to famous art centres such as Pietrasanta, Carrara, Lucca, Pisa and Florence. 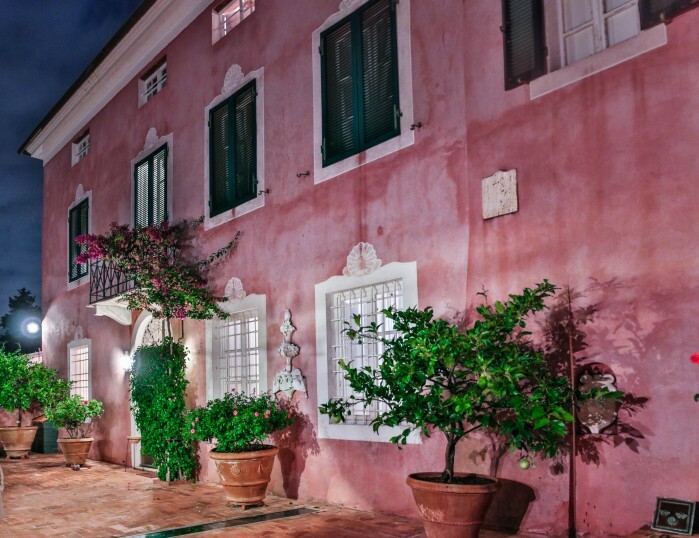 This beautiful accommodation in Tuscany was redeveloped in 2005 from an ancient bourgeois house built in the second half of the 16th century, in the historic centre of Lucca right within the medieval town walls. 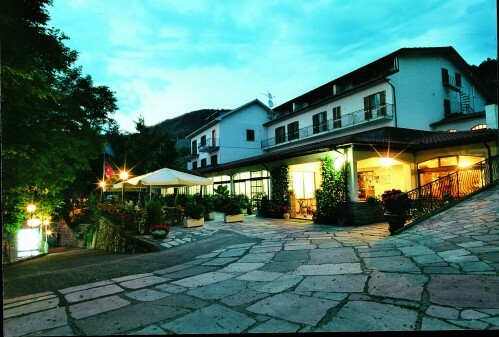 The Bed and Breakfast is entirely family-run and welcomes its guests to an ancient atmosphere but with modern comforts. The holiday accommodation consists of comfortable and spacious rooms with writing-desk, air conditioning and bathroom with shower or bathtub. The family suite also has a living room corner and direct access to a small garden. Guest facilities are a garden area, bicycles, free use of the internet point situated at the reception for 30 minutes a day, and the possibility to deposit the baggage on the day of departure without any additional costs. The B&B also has its own taxi service with a ten-year experience, offering therefore the possibility to organize transfers from and to airports and railway stations at easy term rates. 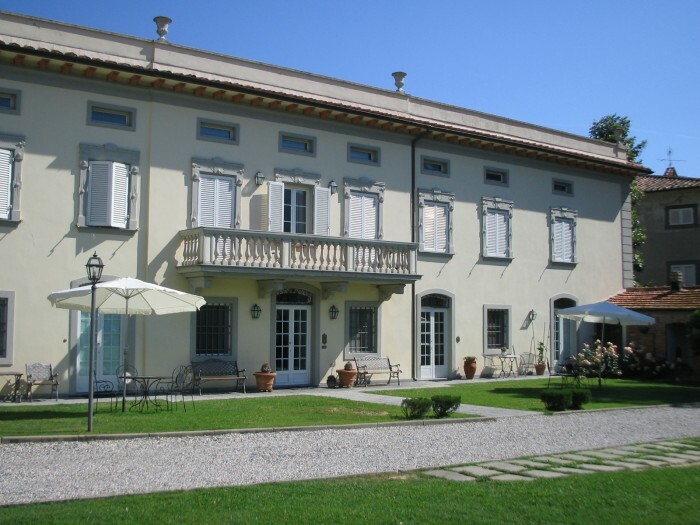 This accommodation in Lucca is located in front of the enchanting gardens of Villa Bottini, once residence of Elisa Bonaparte, and where today numerous cultural and musical events are held during the summer period. 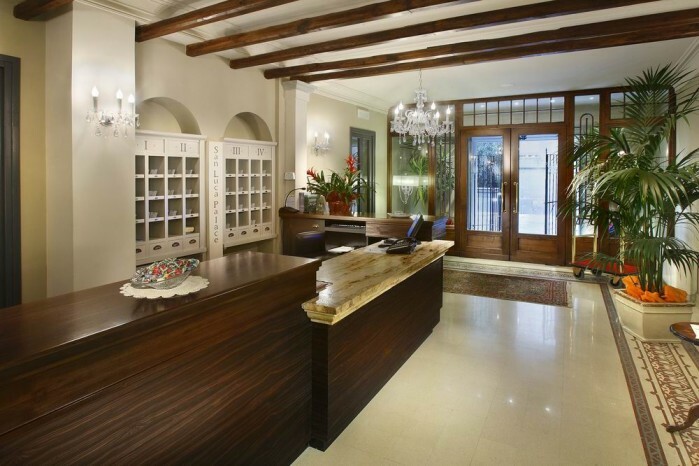 From the property in a few minutes you can reach on foot all the principal historic attractions of the city. Furthermore Lucca is in a good position to visit all the beauties of Tuscany such as Florence, Pisa, Siena, St. Gimignano and the wine producing farms of Montecarlo Classico and Chianti. This lovely holiday home in Tuscany is located on the hills with a breathtaking view over Viareggio and the beaches of the Versilia Coast. The house, on one floor, consists of a comfortable living room with double sofa bed (preferably for children), a fully equipped kitchen with a lovely sea view and dining area (airconditioned) and a double bedroom (airconditioned) with en-suite bathroom fitted with shower. Outside a porch, overlooking both the shoreline and the Massaciuccoli lake, offers an excellent setting for al fresco dining. Surrounding the cottage is a private garden (2600sqm) with olive grove, a small on-ground swimming pool (4x2 m) and a barbecue where guests can grill the prawns bought at the fresh fish market down at the docks. 95 km. On the coast at 15 km is Forte dei Marmi renowned for its night clubs and high society, whilst nearby Pietrasanta, at 10 km, is the art centre of these hills and residence of many international sculptors. At 2 km, instead, the nearest shops and restaurants. Access through a 300 mt dirty road. This typical old Tuscan house is located high on a hillside at 2 km from Monteggiori and 6 km from Pietrasanta, on the Versilia Coast; surrounded by an olive grove it enjoys a remarkable view. Idyllically positioned between seaside and mountains, at just 12 km away from the beach, the house can be reached driving, through olive groves, up a winding mountain road until one must leave the car and walk up to the house along a 200 meter stone path with lights, which narrows at the end, allowing you to appreciate the serenity of the slower rhythms of Nature. The owners guarantee baggage service at arrival and departure. The outside of the house is very charming, with a furnished veranda offering a great spot for alfresco dining. Also available barbecue equipment and a table in the middle of the olive grove for outside lunching. 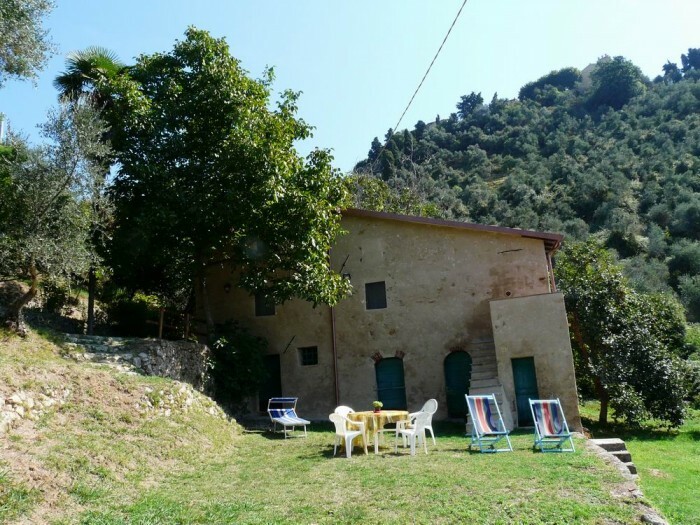 Villa Il Ciliegio is a lovely semi-detached house in the centre of the ancient and picturesque hamlet of Bargecchia. The village is on the hills of Versilia, just 10 km from Viareggio and its seaside resorts. The house is near the 13th-century church and its bell-tower, celebrated by Puccini at the end of the first act of Tosca because the composer admired the bells sound. Beyond the church’s square are restaurants, a grocer’s, a butcher’s and a greengrocer’s. The villa and its gardens all enjoy a breathtaking view over the Massaciuccoli Lake and the coast of Versilia. One garden, right outside the kitchen door, is equipped for al fresco dining, while another, much larger, garden has a swimming pool (8x4 m, 1,20m depth, open from 1 June to 15 September) and a furnished gazebo. There is also an olive grove and an orchard. Lido di Camaiore is a seaside village, close to Viareggio, on the Versilia Coast. With its beautiful sandy beaches, its bars, restaurants and pubs, it is an ideal location not only for a holiday in Summer, but also all year round. 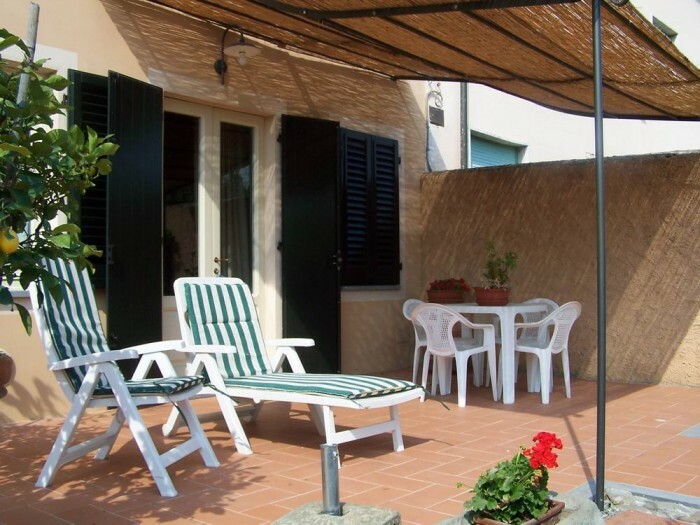 Our beautiful lodging is located at only 200 m from the beach, in a quiet street (via buozzi). It is an independent house of 210 sq m, on 3 floors, and can host up to 10-11 people. It consists of a large living room with Sat TV, kitchen (oven, fridge, dishwasher, toaster, washing machine), dining room, 3 double bedrooms, one bedroom with twin beds, two single bedrooms, two bathrooms equipped with shower and a toilet. There are two large, furnished terraces (one of 70 sq m and one of 20 sq m), and a balcony. Heating and ventilator available. Nearest shops, restaurants and pubs are at 200 m, a supermarket is at 1000 m.
Camaiore is 7km away, Lucca 29 km, Pisa 27 km, Forte dei Marmi 8 km. 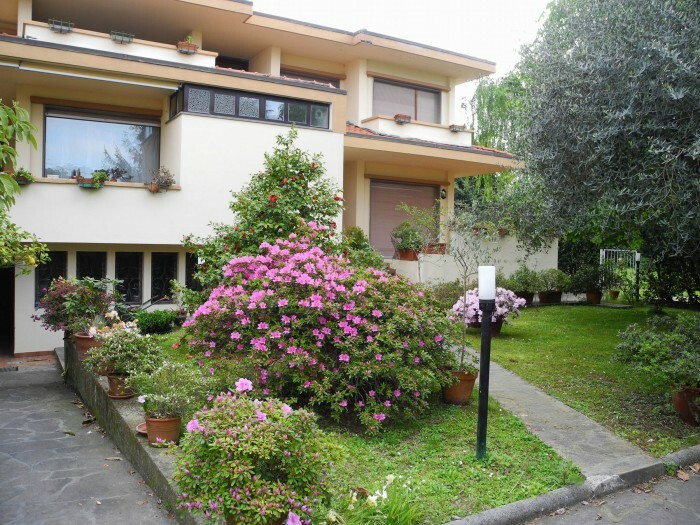 This holiday apartment is located at just 2,4 km from the sea in the glitzy Versilia town of Forte dei Marmi. It’s in a residential neighbourhood with shops of all kinds, bars, confectioner’s, a bank and a chemist’s. At 700 m there is also a supermarket and a restaurant. The flat is on the first floor of a small and quiet house with private car park, three terraces and a private garden with gazebo and barbecue (direct access from the ground floor of the building). The main entrance leads into a corridor. On the left there are two large bedrooms, a double and a twin, and a bathroom fitted with shower (hairdryer available). On the right of the corridor there is a kitchen (equipped with fridge-freezer, oven, dishwasher, toaster, electric coffee machine, kettle and microwave oven) with small dining area. The kitchen has an opening towards the sitting room with a larger dining table, a double sofa bed and air conditioning (also digital TV, DVD/CD player). Also available internet Wi-Fi. Small pets accepted. Bargecchia is a lovely village on the Versilia hills, in a wonderful location, surrounded by olive groves, and with breathtaking views over the coast and the Massacciucoli lake. The nearest beaches are in Viareggio, at 11km; Lucca is 25km away, Pisa 29 km and Florence 98 km. At 5 min walking distance from the village (restaurants and shops), in a quiet location, there is a stunning ancient hamlet of the 16th century with 4 beautiful, separate accommodations. 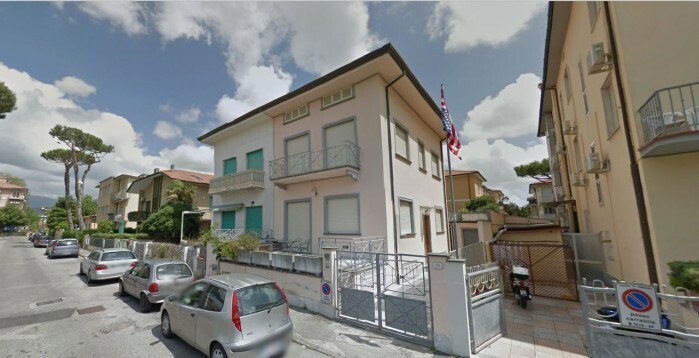 Two apartments with independent entrance, a cottage and a stately villa. Shared swimming pool (7x4 m, 1,40m deep, open ca. April-Oct), barbecue area, and large common garden and picnic area. Children play ground. Welcome drink. On request: cook, cooking lessons, private driver, wine and olive oil tasting, baby sitting service. 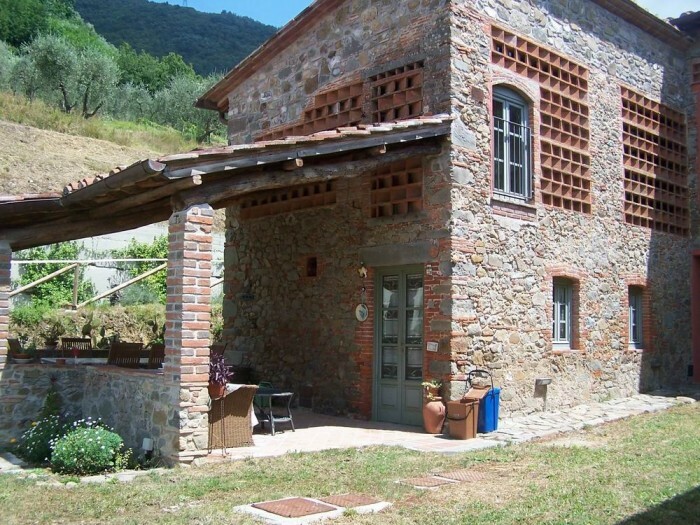 This holiday accommodation in Tuscany is located in a panoramic area at 850 m above sea level near Monte Argegna and the Passo dei Carpinelli (Carpinelli’s Pass), the “passage” connecting the area of Garfagnana to the region of Lunigiana, the doorway to Liguria. From here, both by main road or motorway, one can easily reach the famous coast of Versilia, the beautiful Cinque Terre and the Golfo dei Poeti (Lerici, Portovenere) in Liguria, as well as Tuscan art centres such as Lucca, Pisa and Florence. The B&B has 30 rooms with private bathrooms, Sat-TV, telephone, and many rooms have their own balcony. Other facilities are a reading room, a bar, an ice-cream parlour, a panoramic terrace, a park, a playground for children, tennis court, mini soccer field, bowls, swimming pools for adults and children (open from June to September), private car park and a garage. This beautiful and comfortable accommodation in Tuscany is located in a 1540 palace, within the medieval walls of Lucca, right in the town centre, within walking distance of the shopping area and the train station. The B&B, a 4 star superior holiday hotel, consists of 17 Junior Suites, 3 Suites, 4 doubles and 2 singles situated on 4 floors, each spacious, elegantly furnished and provided with air conditioning and heating with independent control, LCD TV with satellite channels and PAY-TV, direct telephone, PC internet Wi-Fi connection, mini-bar, safe, relax or work area, parquet flooring, bathroom with telephone, shower or bath, hairdryer and cable radio. Everything for maximum comfort. The rooms are accessed by magnetic cards. Other facilities are a bar lounge, where one can talk and relax sipping a drink or cocktail in an elegant atmosphere with soft music, a small garden and a car park. Buffet breakfast. For business meetings in Lucca, the hotel is ideal for reunions, courses and conventions: 40 + 30 seats. 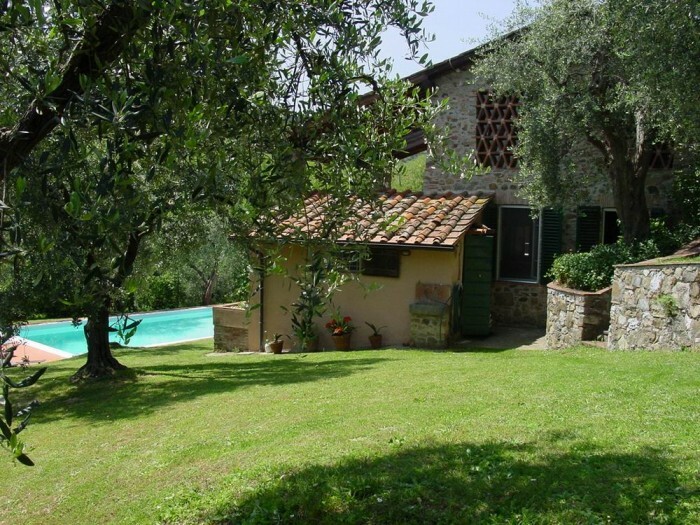 This lovely holiday home, a former farmhouse, lies surrounded by lovely green countryside, at just 5 km from Lucca. The accommodation has recently been restored offering the advantages of a country house combined with modern comforts. It is a perfect retreat for a relaxing holiday yet centrally located for day trips to various art centres such as Florence, Lucca, Pisa and Siena or to the golden sandy beaches of the Versilia at just 30 minutes. The house has two independent apartments, in one of which live the owners. Guests have complete access to the large garden which is equipped with dining furniture, barbecue and deck chairs; a wonderful place to make maximum use of the outdoors. The apartment, 90 sq m, is very finely furnished and on two levels. On the ground floor there is a spacious living room with kitchen area (stove-oven, fridge-freezer, dishwasher, coffee machine, toaster, kettle,) and a large dining table. TV, Radio, CD/DVD player, and internet Wi-Fi connection available. The living room opens onto the garden and the private terrace. On the same floor there is also the master double bedroom, a bathroom fitted with shower and hair dryer and a utility room with washing machine. On the first floor is a single bedroom used as passageway to a second double bedroom. All windows have mosquito screens. Private car park. Nearest shops and restaurant at 800 meters. Pisa ca 25 km, Florence 65 km. 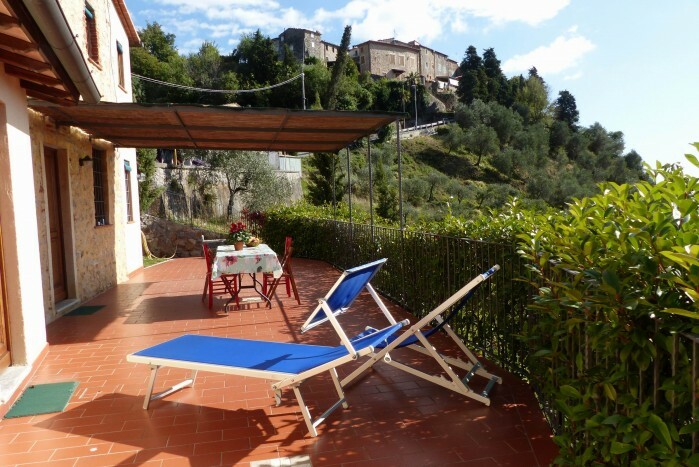 This wonderful holiday home is on the hills overlooking Lucca, at just 11 km from this breathtaking walled town. The house has been recently renovated maintaining the original architectonical character. It is located between Valgiano and Matraia, a wonderful area with a stunning view over the olive groves and the plain of Lucca. Its position is spectacular as well as a good place for excursions around Tuscany. Florence (70km) and Pisa (30km) are easy to reach by bus or train from Lucca, as also is the Tuscan coast (Viareggio etc). Finely furnished and full of rural Tuscan appeal the cottage, however, offers all modern comforts. Guests have access to a large garden equipped with dining furniture, barbecue and deck chairs, a wonderful place to make maximum use of the outdoors, where there also is a small stone basin (2x1 mt) with fresh natural spring water. In front of the entrance there is a beautiful porch for al fresco dining. Ground floor: access into the kitchen (fridge, oven, toaster, kettle), one bathroom with shower, a large living room. First floor: on the left side a double bedroom, and on the right side a bathroom with shower, a double bedroom with French bed (sleeps 1+1/2), a large living room with an open loft with two single beds. At guest's disposal a washing machine, hair dryers, Dvd player, TV, books (in English and Italian) and internet Wi-Fi connection. This lovely home for 5 people is located on the Versilia hills, just a few minutes from Monteggiori, a charming little medieval hamlet, and from the seaside. The holiday home is located in a quiet position, and is surrounded by a wonderful garden, luxuriant in fruit plants, and above all with a breathtaking view over the coast and the sea. The Versilia beaches are at just 6,5 km of distance. The house preserves the original country architecture, with terracotta tile flooring and wooden beam ceilings. The entrance, originally located on the front side and reachable through stairs, is now on the back side of the house and leads to the large kitchen with fire place (oven, fridge freezer, toaster, dishwasher, washing machine). From here you reach a double bedroom with a splendid view over the coast, and a staircase which leads to the upper floor, where there are two single beds and a single sofa bed. Bathroom with small bath/shower. Ca. 65sqm. Mosquito nets, barbecue. Nearest villages are Monteggiori (1,7km), and Capezzano Pianore (2km) where you can find shops, restaurants, supermarket, pharmacy. The beautiful town of Pietrasanta, seat of various art laboratories, is only 5 km away. Viareggio 12km, Pisa and Lucca ca 30km. 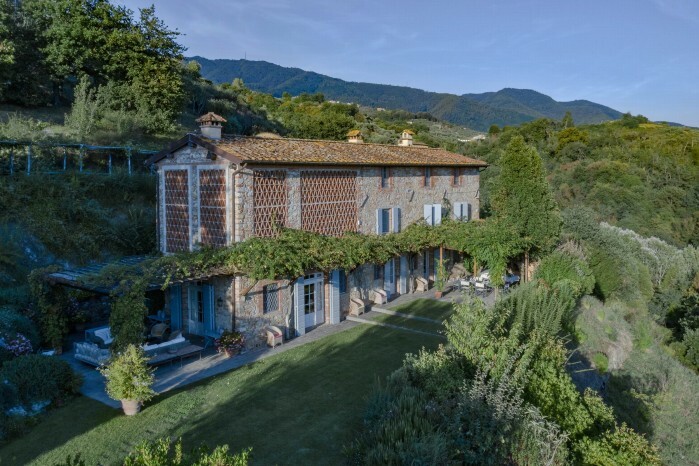 This beautiful 18th century independent holiday home in Tuscany is located at 300 mt from the tiny medieval village of Pedona on the Versilia hills. Originally a farmhouse, this lovely cottage has been tastefully renovated maintaining its original characteristics such as the terracotta floor tiling, the wooden beam ceilings and the magnificent fireplaces, which originally heated the house. On three floors, the house is suitable for adults and families without little children, as the inner staircase is quite steep. This holiday accommodation consists of a kitchen with original marble sink, a nice, comfortable dining room with a stone fireplace and a living room with another stone fireplace on the ground floor. A steep staircase leads to the first floor with a double bedroom and a small bathroom with shower. On the second floor there is another double bedroom and a room where it is possible to put an extra bed. The villa enjoys a wonderful view over the valley of Camaiore. These elegant holiday apartments for rent in Tuscany are located in the beautiful village of Santa Maria del Giudice, right between Pisa and Lucca. Surrounded by a luxuriant hilly countryside, this superb 18th century Tuscan villa, once owned by one of the most important aristocratic families of the area, was tastefully renovated at the beginning of the 20th century, in the Art Nouveau style. Today, after recent restoration, the present owner has decided to dedicate the whole ground floor to guests, together with a cottage in the grounds. These apartments near Lucca consist of 2 comfortable self-catering apartments on the ground floor of the villa, of which one can be enlarged with the addition of an extra communicating bedroom, and a lovely cottage on two floors, on the lawn in front. A beautiful, lush garden, completely fenced, full of plants and trees, offers an enchanting place where to relax far from the madding crowd. The garden includes a large swimming pool (12x6mt), open from April to October, and a barbecue. Each apartment has its own outdoor furniture permitting one to enjoy al fresco dining. Also within the grounds a car park. Small pets are welcome. These Tuscany accommodations are within walking distance of grocer’s, a small supermarket, the 12th century parish church, as well as the owner’s family restaurant. Restaurant and shops in walking distance. Pisa ca. 10 km away, Lucca 9 km, Florence 80km, Golfcourt 5 km. 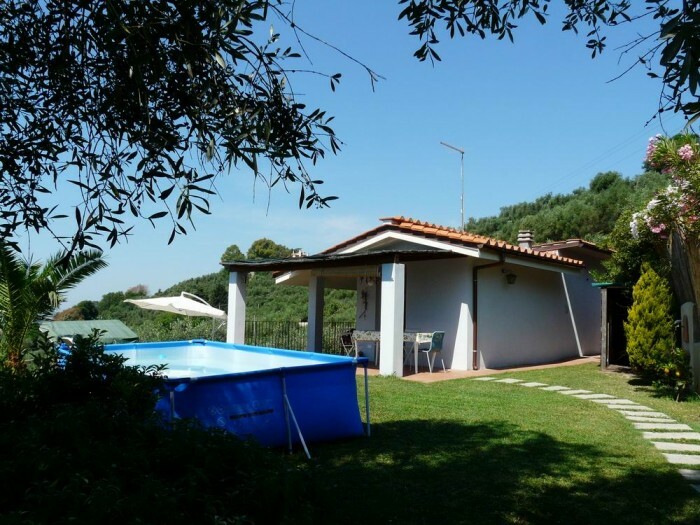 This lovely and comfortable villa with a large garden is located at Massarosa, a town between Lucca (at 15 km) and the sea, at Viareggio (9 km). Very near is the beautiful Massacciuccoli Lake, on the opposite bank of which is the town of Torre del Lago, where Italian composer Giacomo Puccini once lived. The villa is a two-family house, with the owner occupying one of the residences, each one with independent entrance and garden. The guest house, 270 sq m, is on two floors. The house is very well-furnished and efficiently equipped with all comforts. On the ground floor there is a large kitchen (very well equipped with fridge-freezer, oven, dishwasher, toaster, microwave oven, coffee machine, kettle and barbecue grill) with dining area, a two-piece bathroom, a large living room with fireplace and Sat-TV. On the first floor there are two double bedrooms, two twin bedrooms, one large bathroom fitted with both a shower and a hydromassage bathtub fitted with shower head and a big bathroom with double sinks, a bathtub with shower head and a shower box. Hairdryers available. Some of the windows have mosquito nets. Also available: a washing machine, Wi-Fi connection, safe and private car park. Outdoor facilities: covered terrace, balconies, a 2000 sq m garden with an on-ground swimming pool (7,5x3,5 m, open from May to October), a shower, a furnished gazebo and barbecue. 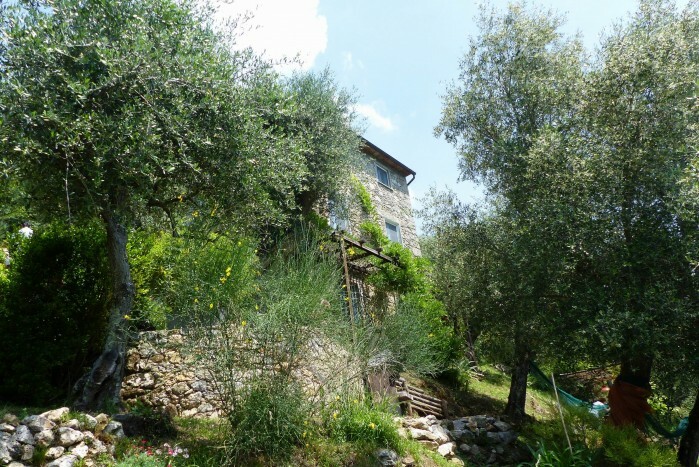 This villa for rent near Lucca is located on the hills at just 7 km from Lucca, surrounded by thriving olive groves and with an extraordinary view over the valley. Originally a farmhouse in which hay was stored, this holiday home has been renovated by the owners with a particular attention in maintaining the traditional Tuscan characteristics with luxury fittings such as the parquet flooring and old terracotta tile flooring on the terraces. The villa is on two split-levels and can comfortably accommodate 6 people. On the ground floor there is a study with a large veranda overlooking the swimming pool, a king-size bedroom with en-suite bathroom fitted out with shower and double basins, a bedroom with twin beds and bathroom with bathtub, a bedroom with small double bed and a laundry equipped with washing machine and iron. On the first floor there is a fully equipped kitchen with fridge, oven, microwave oven, dishwasher and various other electrical appliances, a toilet and a big living room. The villa is surrounded by a large fenced garden with olive grove and oleanders which is equipped with table tennis, barbecue and swimming pool (6x11mt). Electric gates. 3 hours per week cleaning service is included in the fare. Free internet wi-fi connection included in the price. In this holiday villa with pool in Tuscany all guests can enjoy a peaceful stay in total privacy at a short distance from many main Tuscan attractions. At 5 min walking distance from the village (restaurants and shops), in a quiet location, there is a stunning ancient hamlet of the 16th century where is located the villa. At guest’s disposal a swimming pool (7x4 m, open ca. April-Oct), barbecue area, and large common garden and picnic area. Children play ground. Welcome drink. On request: cook, cooking lessons, private driver, wine and olive oil tasting, baby sitting service. 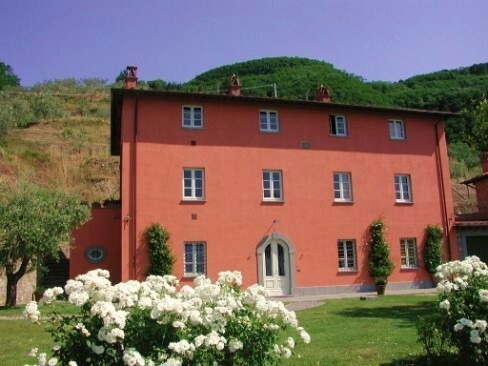 This elegant villa is perched high on a green hill at just 9 km from the beautiful walled town of Lucca. From here one can also admire the stunning Apuan Alps crowning the horizon. The hill on which the villa sits is divided into various terraced areas; visually impressive, it is a typical feature of this area of Tuscany. The villa itself is found on the first terrace; the second terrace hosts a beautiful swimming pool (7x14, from c. 1mt to 2,5 m in the deeper end - well-equipped with all the necessary amenities for relaxing or sun-bathing) facing the open valley and providing a lovely spot from which to enjoy the spectacular panorama. An additional gazebo provides a covered area where one can enjoy cool summer breezes. A small nearby annex serves as a changing room and is also equipped with a bathroom, shower, refrigerator and two single beds. Outside, the villa appears as a long building covered in original stone walls and displaying, on its left side, a series of typical red brick decorations. The garden has a beautiful lawn embellished with large vases containing flowers, citrus trees, aromatic plants and climbing vines. The house has two outdoor areas: the first, contiguous to the shorter wall, where couches, armchairs and small tables provide a comfortable lounge area for relaxing moments; the second, located near the kitchen, where a table and chairs are set up for al-fresco dining. This magnificent eighteenth-century Villa, nestled on the Versilia hills and dominating the Tuscany coast with a breathtaking view, is located at only 1.4 km from the medieval village of Monteggiori and 4 km from the famous artist town of Pietrasanta. The restoration, carried out with full respect of the original building materials, has created a stylish holiday retreat, which retains all the charm of the historic residence together with the tranquillity and privacy of a private home. The villa is surrounded by picturesque Italian gardens (10000 sqm), where the swimming pool (10m x 4m, open May-Oct) is located, and by age-old olive groves. Daily excursion are easy to all the most important art cities of Tuscany (if needed we can provide private driver): Carrara and the marble quarries are only 24 km away, Lucca 29 km, Pisa 32 km and Florence 100 km. The beaches of Versilia are at 6 km and Forte dei Marmi with its fashion shops is 11 km away. At guest’s disposal internet Wi-Fi, air conditioning, Sat-TV (in all bedrooms), table tennis, and the magnificent view over the entire coast. On request: private cook, catering, driver, and more. The villa, 800 sq m, is on 3 floors and it can accommodate up to 17 people (with in addiction, on request, of 2-3 sleeping place located in a stunning oil mill room (100sqm) with original old equipment, converted into a stylish suite bedroom, bathroom with shower).